Neil Armstrong was an American astronaut and aeronautical engineer who was the first person to walk on the Moon. Neil Armstrong resigned from NASA in 1971, Neil Armstrong taught in the Department of Aerospace Engineering at the University of Cincinnati until 1979. Neil Armstrong was awarded the Presidential Medal of Freedom by President Richard Nixon, and President Jimmy Carter presented Armstrong with the Congressional Space Medal of Honor in 1978. 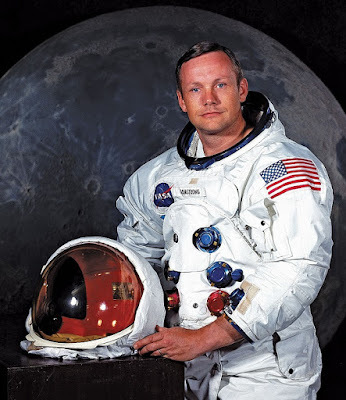 Neil Armstrong was born August 5, 1930, in Wapakoneta, Ohio, U.S.A. Let’s remember Neil Armstrong's birthday with Top Ten Famous Neil Armstrong Quotes. Barack Obama served as the 44th President of the United States from January 20, 2009, to January 20, 2017. Barack Obama, was born August 4, 1961, in Honolulu, Hawaii, U.S.A. 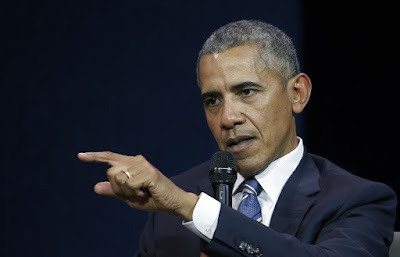 In 2009 Barack Obama was awarded the Nobel Peace Prize for his extraordinary efforts to strengthen international diplomacy and cooperation between peoples. Let’s remember Barack Obama's birthday with Top Ten Famous Barack Obama Quotes. It's not enough to train today's workforce. We also have to prepare tomorrow's workforce by guaranteeing every child access to a world-class education. I think when you spread the wealth around it's good for everybody. Where there is no experience the wise man is silent. 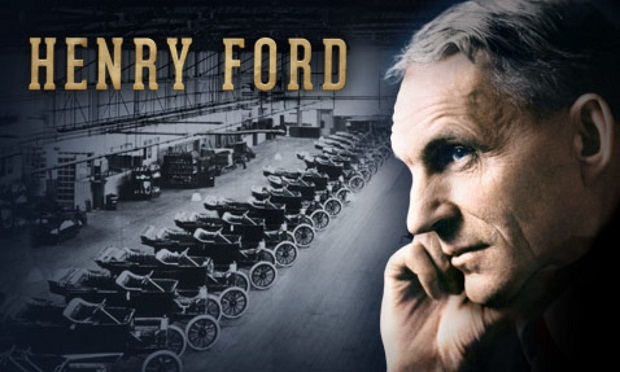 The founder of the Ford Motor Company Henry Ford was born on July 30, 1863. Henry Ford was an American captain of industry and a business magnate. Henry Ford converted the automobile from an expensive curiosity into a practical conveyance that would profoundly impact the landscape of the 20th century. Henry Ford's introduction of the Model T automobile revolutionized transportation and American industry. Let's remember Henry Ford's birthday with Top Ten Famous Henry Ford Quotes. 2. Thinking is the hardest work there is, which is probably the reason so few engage in it. 3. Enthusiasm is the yeast that makes your hopes shine to the stars. 4. If you think you can do a thing or think you can’t do a thing, you’re right. 5. Anyone who stops learning is old, whether at twenty or eighty. Anyone who keeps learning stays young. 6. Coming together is a beginning; keeping together is progress; working together is success. 7. Employers only handle the money – it is the customer who pays the wages. 8. Don’t find fault, find a remedy. 9. The only real security that a man can have in this world is a reserve of knowledge, experience and ability. 10. To do more for the world than the world does for you – that is success. Sir Charles Spencer "Charlie" Chaplin, considered to be one of the most pivotal stars of the early days of Hollywood. Charlie Chaplin was a British comic actor and filmmaker who rose to fame in the silent film era. Charlie Chaplin lived an interesting life both in his films and behind the camera. Charlie Chaplin was born on 16 April 1889. 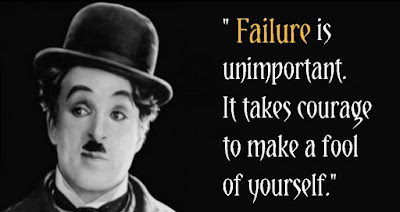 Let's remember Charlie Chaplin's birthday with some famous Charlie Chaplin inspirational quotes. 1. We think too much and feel too little. 2. 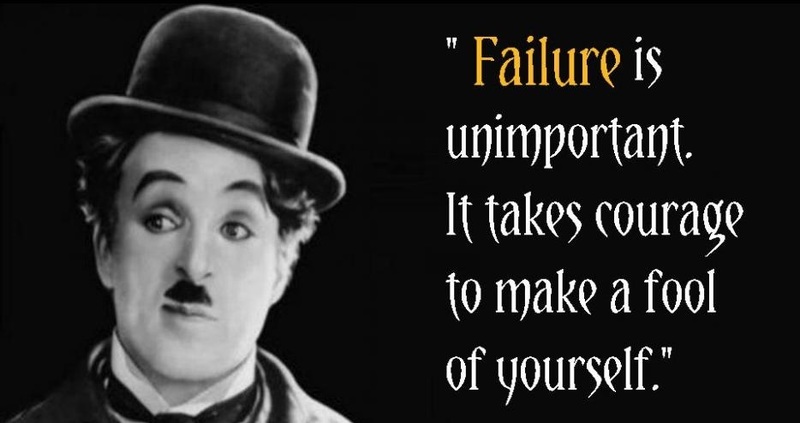 Failure is unimportant. It takes courage to make a fool of yourself. 3. Remember, you can always stoop and pick up nothing. 4. We all want to help one another. Human beings are like that. We want to live by each other's happiness, not by each other's misery. 5. I had no idea of the character. But the moment I was dressed, the clothes and the make-up made me feel the person he was. I began to know him, and by the time I walked onto the stage he was fully born. 6. Life is a tragedy when seen in close-up, but a comedy in long-shot. 7. Laughter is the tonic, the relief, the surcease for pain. 8. To truly laugh, you must be able to take your pain, and play with it! 9. All my pictures are built around the idea of getting in trouble and so giving me the chance to be desperately serious in my attempt to appear as a normal little gentleman. 10. To help a friend in need is easy, but to give him your time is not always opportune. 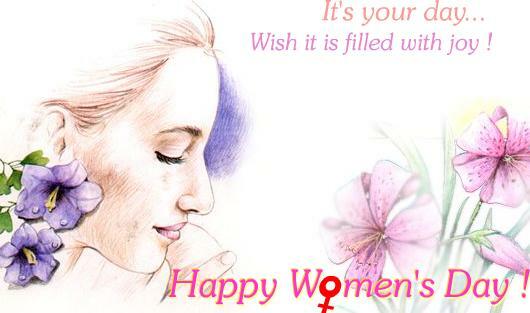 International Women's Day and Women's History Month is almost upon us and I figured what better time to enjoy some heartwarming inspirational quotes than this? Whether men like to admit it or not, women make this world go round. Don't believe me? Move all of the women in this world to a different planet and see what happens to your civilization! With that thought in mind, here are 14 inspirational quotes to celebrate this well-deserved holiday. Steve Jobs was an entrepreneur, marketer, and inventor. Steve Jobs was best known as the co-founder, chairman, and CEO of Apple Inc. Steve Jobs is the inventor of iPad, iPhone, iPod, iTunes and many more. Steve Jobs was born on 24th February 1955 in San Francisco, California, America. 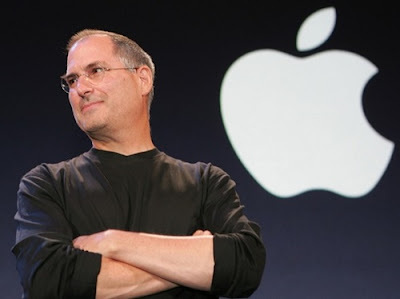 Let’s remember Steve Jobs's birthday with Top Ten Famous Steve Jobs Quotes. 1. Details matter, it’s worth waiting to get it right. 2. Innovation distinguishes between a leader and a follower. 3. Deciding what not to do is as important as deciding what to do. 4. My favorite things in life don't cost any money. It's really clear that the most precious resource we all have is time. 5. I’m convinced that about half of what separates the successful entrepreneurs from the non-successful ones is pure perseverance. 6. You'll see more and more perfection of that - computer as servant. But the next thing is going to be computer as a guide or agent. 7. If you keep your eye on the profit, you’re going to skimp on the product. But if you focus on making really great products, then the profits will follow. 8. Technology is nothing. What's important is that you have a faith in people, that they're basically good and smart, and if you give them tools, they'll do wonderful things with them. 9. That's been one of my mantras - focus and simplicity. Simple can be harder than complex: You have to work hard to get your thinking clean to make it simple. But it's worth it in the end because once you get there, you can move mountains. 10. You can't connect the dots looking forward; you can only connect them looking backwards. So you have to trust that the dots will somehow connect in your future. You have to trust in something - your gut, destiny, life, karma, whatever. This approach has never let me down, and it has made all the difference in my life. Why are George Washington quotes so remarkable? 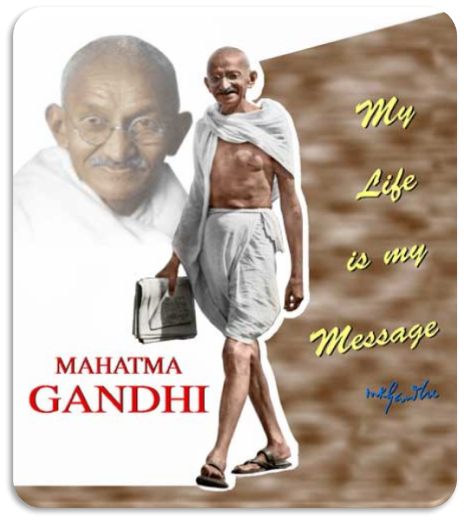 Once in a rare while a great man is born - a man who changes the world for the better and leaves his mark for posterity. George Washington was one of these men and his words are words to live by. As we remember his birthday this month, let these leadership quotes remind us of what's really important. In today's society, I wonder if George Washington would have been such a popular man. I wonder if today's world would have embraced him so readily. 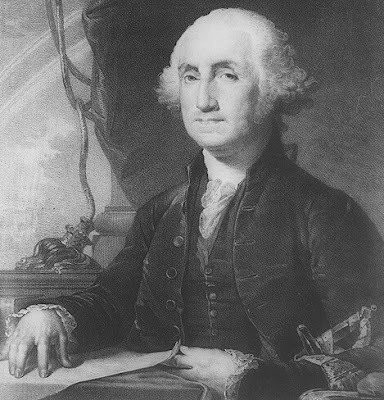 Let these twelve George Washington quotes remind us of where we came from, why we have what we have today and what our Nation truly stands for. For more leadership quotes, check out the popular leadership quotes section of Famous-Quotes-And-Quotations.com, a website that specializes in 'Top 10' lists of quotations in dozens of categories. 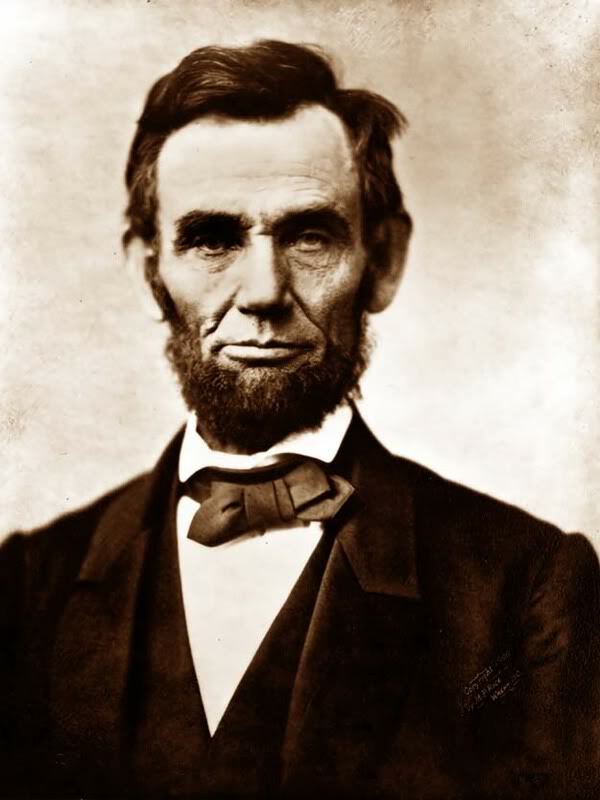 Abraham Lincoln became the United States’ 16th President in 1861, issuing the Emancipation Proclamation that declared forever free those slaves within the Confederacy in 1863. Abraham Lincoln was an American statesman and lawyer. In 1834 Abraham Lincoln began his political career and was elected to the Illinois state legislature as a member of the Whig Party.Abraham Lincoln was born in a log cabin in Hardin County, Kentucky on February 12, 1809. Let’s remember Abraham Lincoln's birthday with Top Ten Famous Abraham Lincoln quotes. Sidney Sheldon was a famous successful playwright, screenwriter, and novelist. Sidney Sheldon reigns as one of the most popular storytellers of all time. Sidney Sheldon wrote best selling novels such as Master of the Game, The Other Side of Midnight and Rage of Angels. Sidney Sheldon won an Oscar Award for Writing Original Screenplay in 1947 for the comedy movie 'The Bachelor and the Bobby-Soxer'. 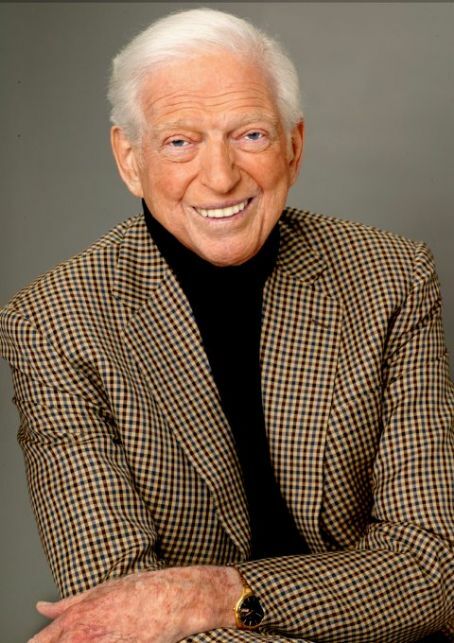 Sidney Sheldon was born on 11th February 1917, in Chicago, Illinois, United States of America. Let’s remember Sidney Sheldon's birthday with Top Ten Famous Sidney Sheldon Quotes. 1. Libraries store the energy that fuels the imagination. They open up windows to the world and inspire us to explore and achieve, and contribute to improving our quality of life. Libraries change lives for the better. 2. I admire people who are, by nature, kind and fair to others. 3. The part of my writing I find the most rewarding is when people write to me or speak to me in public to tell me how his or her life has been changed by my books. 4. 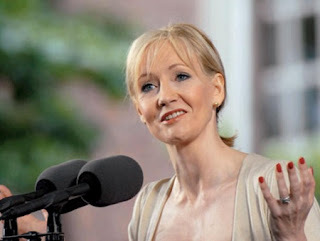 If there is any secret to my success, I think it's that my characters are very real to me. I feel everything they feel, and therefore I think my readers care about them. 5. Don't give up. There are too many nay-sayers out there who will try to discourage you. Don't listen to them. The only one who can make you give up is yourself. 6. You have two choices. you can keep running and hiding and blaming the world for your problems, or you can stand up for yourself and decide to be somebody important. 7. Try to leave the Earth a better place than when you arrived. 8. Talent is a gift that can be given, and it can be taken away. We have to appreciate that. 9. When you write a movie, you have a hundred collaborators. But when you write a novel, it's yours. Thomas Alva Edison was an inventor and businessman. Thomas Alva Edison's inventions included the phonograph, the electric light bulb, the electric power industry, and motion pictures. 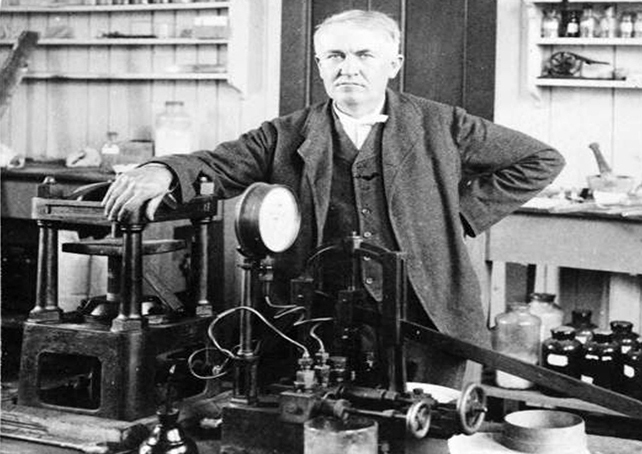 Thomas Alva Edison is well known for his hard work ethic and perseverance. Thomas Alva Edison was born on 11th February 1847 in Milan, Ohio, America. Let’s remember Thomas Alva Edison's birthday with Top Ten Famous Thomas Alva Edison Quotes. 1. There's a way to do it better - find it. 2. 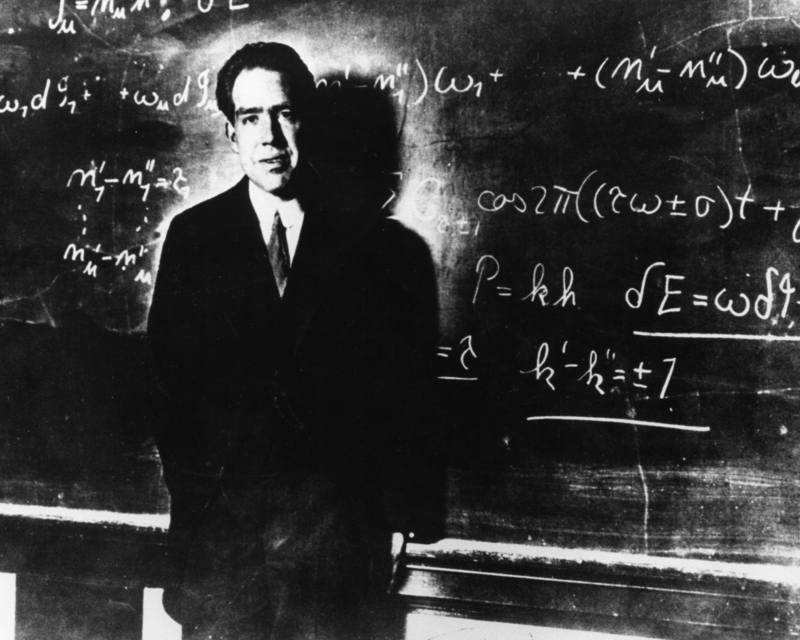 I never did anything by accident, nor did any of my inventions come by accident; they came by work. 3. I have not failed. I've just found 10,000 ways that won't work. 4. The three great essentials to achieve anything worth while are: Hard work, Stick-to-itiveness, and Common sense. 5. I want to save and advance human life, not destroy it…. 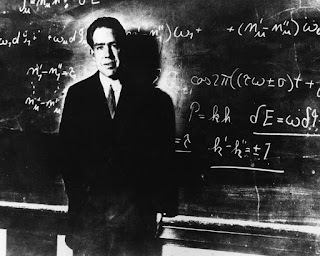 I am proud of the fact that I have never invented weapons to kill…. 6. Fools call wise men fools. A wise man never calls any man a fool. 7. Genius is one percent inspiration and ninety-nine percent perspiration. 8. I have friends in overalls whose friendship I would not swap for the favor of the kings of the world. 9. Being busy does not always mean real work. The object of all work is production or accomplishment and to either of these ends there must be forethought, system, planning, intelligence and honest purpose, as well as perspiration. 10. A man’s best friend is a good wife. Charles Dickens was one of greatest writers and social critics of the 19th century. Charles Dickens was famous for his humour, satire, and keen observation of character and society. Charles Dickens' novels and short stories continue to be widely popular. 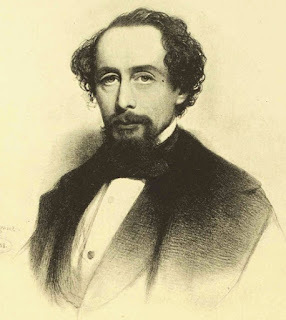 Charles Dickens was born on 7th February 1812. Let’s remember Charles Dickens' birthday with Top Ten Famous Charles Dickens Quotes. Ronald Reagan was the 40th President of the United States of America. 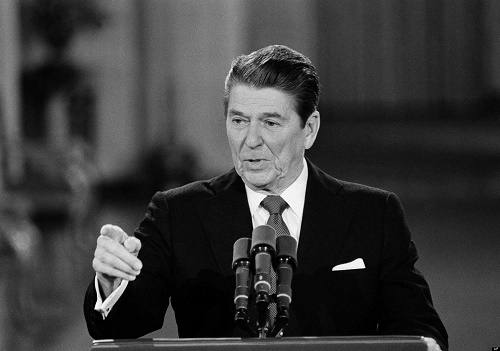 Ronald Reagan would probably be considered one of the most popular presidents in history. Ronald Reagan was a radio, film and television actor. In addition Ronald Reagan served as the 33rd Governor of California for eight years between 1967 and 1975. Ronald Reagan was born on 6th February 1911 in Tampico, Illinois, America. Let’s remember Ronald Reagan's birthday with Top Ten Famous Ronald Reagan Quotes. 1. We can't help everyone, but everyone can help someone. 2. Welfare's purpose should be to eliminate, as far as possible, the need for its own existence. 3. A people free to choose will always choose peace. 4. Peace is not absence of conflict, it is the ability to handle conflict by peaceful means. 5. Government's first duty is to protect the people, not run their lives. 6. Government always finds a need for whatever money it gets. 7. If we love our country, we should also love our countrymen. 8. We will always remember. We will always be proud. We will always be prepared, so we will always be free. 9. My philosophy of life is that if we make up our mind what we are going to make of our lives, then work hard toward that goal, we never lose - somehow we win out. 10. Life is one grand, sweet song, so start the music.